The record dry weather means California water districts are ramping up conservation programs. The East Bay Municipal Utility District is encouraging some of its customers to use less by having them compete with their neighbors. About 10,000 EBMUD customers have been getting personalized reports in the mail over the past year, summarizing their water use and comparing it to the consumption of similar households in the area. The comparison is done anonymously – no neighbors are outed by name -- but Harris says the small dose of peer pressure seems to work. An independent review of the program found customers who got the information cut their water use by five percent. Click to enlarge - example of WaterSmart's statements for EBMUD customers. The reports also make personalized recommendations for conservation measures. EBMUD found that customers getting the peer reports were twice as likely to participate in conservation programs, compared to other average customers. 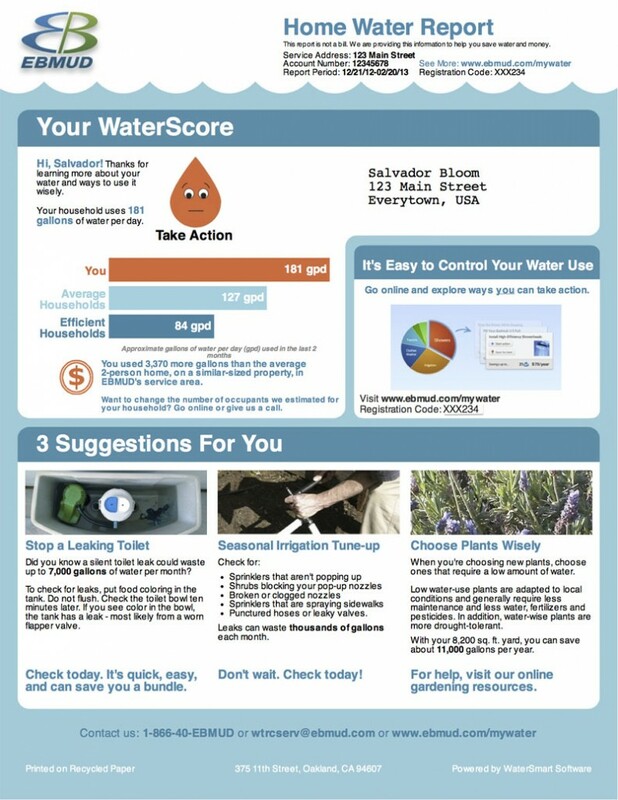 The pilot program was run by San Francisco start-up WaterSmart Software. It’s similar to what companies like Opower have done with electricity consumption through “social norms” programs. Yolles says in these programs, about one-third of the reduction in water consumption comes from home retrofits, like low-flow faucets or toilets. 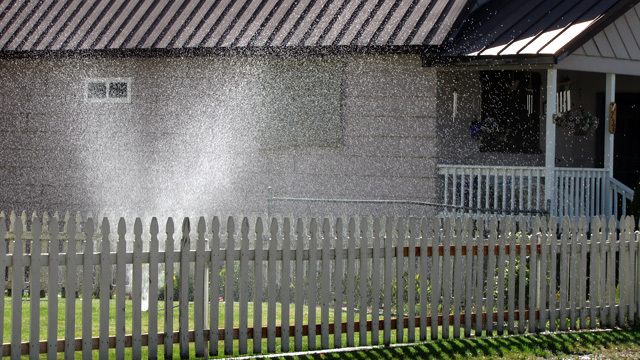 Two-thirds comes from behavioral changes, like shifting outdoor watering habits. WaterSmart is also working on projects in Davis and Newport Beach. “It’s new in my perspective and it’s gaining some traction,” says Harris. Water districts are looking for new conservation techniques in light of California’s plan to cut per-capita water use 20 percent statewide by 2020 – and because of the current drought. 2013 was the driest year on record in California. EBMUD is currently considering expanding the pilot program to more customers.